Treat yourself to a Dole Whip at Aloha Isle Refreshments. Located next to Enchanted Tiki Room where Sunshine Tree Terrace used to reside, this dessert stand is famous for its Dole Whip soft-serve. Aloha Isle is the only place in Magic Kingdom where you can get this delicious ice cream treat. For us, the Pineapple Vanilla Swirl is a Walt Disney World tradition. However, the original pineapple Dole Whip is just as amazingly refreshing and delicious. 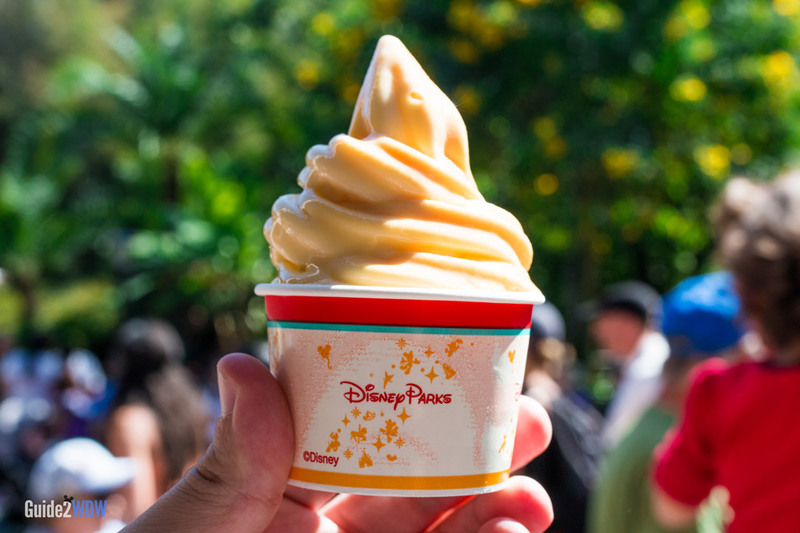 If you’re getting a Dole Whip, chances are you’re going to love it, no matter what flavor combination. Aloha Isle also offers a Pineapple Float, which is a Dole Whip floating in pineapple juice. Note: Menus for Disney World restaurants change on a somewhat regular basis, so the menu listed above is subject to change. For the most up to date menu, check out Disney’s official Aloha Isle menu.